Will Xtreme support eMule 0.50a? Gehts auf richtigem deutsch und einem sauberen Satz ? Will auch viel wenn der Tag lang ist. 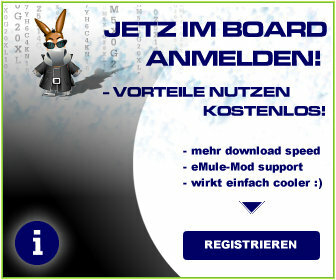 Xtreme supports all versions of eMule. If you're asking whether Xtreme will be BASED upon v0.50a at some point, then the answer is "probably yes, but you should have patience and/or ask the modder". For now this thread goes to the recycle bin!